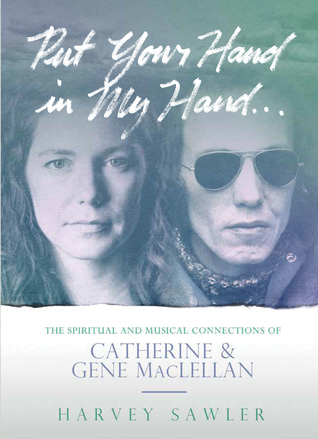 From Goodreads ~ "Put Your Hand in My Hand" is the personal, lyrical story of the relationship between one of Canada's most beloved singer-songwriters and his daughter, a talented musical artist. Gene MacLellan's contribution to the Canadian songbook is legendary. He penned top-forty hits, including "Snowbird," "Bidin' My Time," and "Put Your Hand in the Hand," and his compositions vaulted the careers of international stars such as Anne Murray. In 2004, his daughter Catherine, a Juno award winner, three-time Canadian Folk Award Winner, and two-time ECMA winner, released her debut album to critical acclaim. As the story's principal narrator, along with biographer Harvey Sawler, this memoir paints an intimate portrait of a complex man whose words and melodies left us wanting more than he was able to give, before he took his life in 1995 at the age of fifty-six. Includes song lyrics and a colour insert of family photos. Gene MacLellan (1938 - 1995) was a Canadian singer-songwriter from Prince Edward Island. He wrote Snowbird made famous by Anne Murray and Put Your Hand in the Hand made famous by Ocean. Elvis Presley, Lynn Anderson, Loretta Lynn, Joan Baez and Bing Crosby were among the many artists who recorded MacLellan's songs. While he enjoyed writing and sing songs, he wasn't crazy about the limelight, preferring house parties. He committed suicide in 1995. Catherine MacLellan is a 40ish Canadian folk singer-songwriter, based in Prince Edward Island. She is Gene's youngest daughter and was just a teen when her father passed away. In 2017, she made an album of Gene's songs. This album was tied in with a show she wrote based on her father's life and music. This book is about Gene and Catherine and how she is remembering her father. There are interviews with Catherine and her mother, Judith (Gene's widow) plus her father's friends and singing partners. There are photos of Gene and his family and friends, along with photos of his songs (some which have been published and some which had not) along with parts of his journal in Gene's handwriting. The book is written at a high level with not a lot of details. Gene's mental health was discussed here and there. It would have been interesting to have touched on what was going on at the time that made him take his life (it seemed like his death was mentioned in passing).